Abstract: Quickly and accurately diagnose and treat the psychiatric disorders you will most likely encounter in clinical practice Relevant etiology, phenomenology, pathophysiology, and drug information . right at your fingertips. The most effective interviewing techniques and approaches Important evaluation, testing, and decision-making tools and criteria. 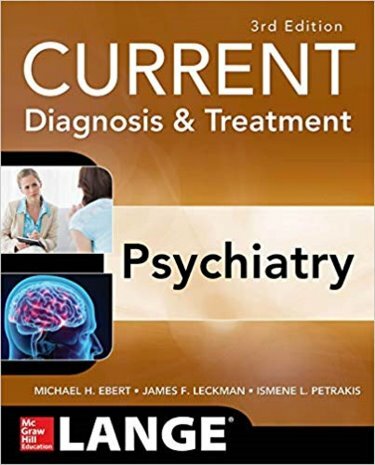 Valuable information on psychiatry and the law, psychological testing, emergency psychiatry, evaluating infants, and more Helpful section on the principles of evaluating and diagnosing patients as well as treatment strategies. NEW CHAPTERS on Disruptive Mood Dysregulation Disorder, Opioid Use Disorders, Stimulant Use Disorders, Tobacco Use Disorder, Cannabis Use Disorders, and Gambling and Behavioral Addictions. 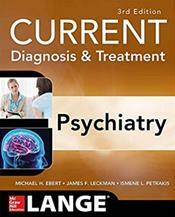 The definitive clinical overview of psychiatric care. Designed in the time-saving LANGE CURRENT outline style. Covers both adult and pediatric disorders. Reviews essential psychopharmacologic and psychotherapeutic approaches.